Cast list on title page. ;"Esta comedia es de M. Molier, y traducida por D. Joseph Sedano"--At foot of p. 36. Removed from a nonce volume, with traces of glue on spine. ;Upper part of first leaf detached. ;Dark liquid staining along gutter of first leaf and upper edges. 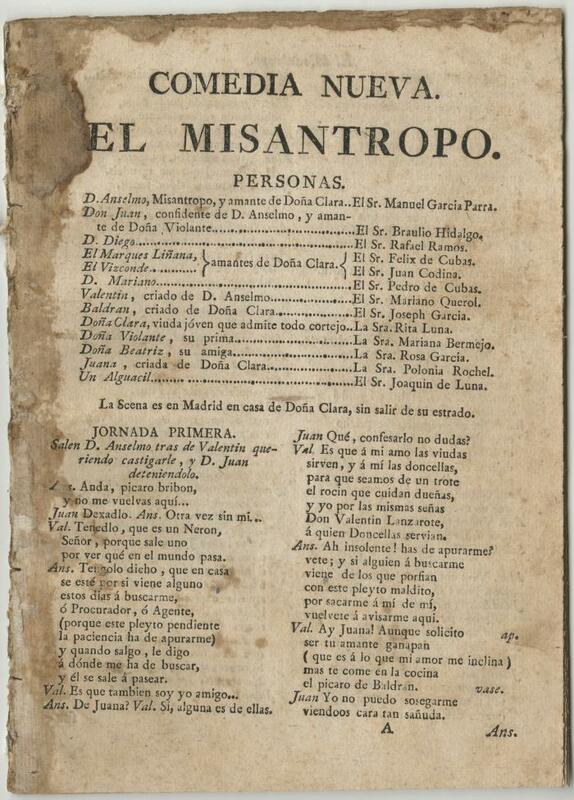 Spanish drama -- 18th century -- Translations from French. French drama -- 17th century -- Translations into Spanish.